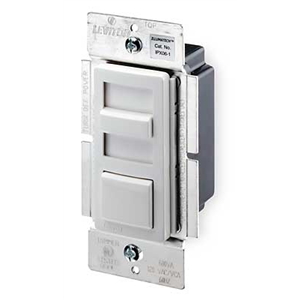 Question: I replaced a regular switch with a dimmer switch in our baby's room. I discovered that I had wiring for a 3 way switch, not a single pole, even though the room only has one light switch. I wired the new switch according to the directions provided with it. The light works, but it does not dim. For reference: there were 3 wires connected to old switch as well as a ground wire. I made sure to tag the common wire before disconnecting from original switch, although 3 wires were the same color. I assumed the bottom wire attached to the bottom screw was the common wire. Answer: Hi Amber,If your light switch can turn the light on and off the problem you have is with the switch itself. Did you turn the power off when you changed the switch. Changing the dimmer with the power on can cause the dimming function of the switch to stop working. The on off function of the switch will still work normally.